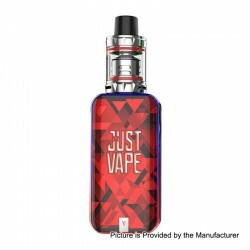 Today let's learn some information about a new item, and it's from Brand Vaporesso. 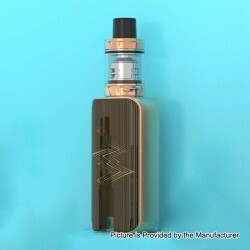 The Original Vaporesso Luxe Nano Kit consists of Vaporesso Luxe Nano Mod and Vaporesso SKRR-S Mini Tank. This item also has other colors to choose. 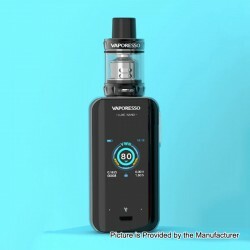 The Vaporesso Luxe Nano combines the same beastly power as its predecessor in its compact design. 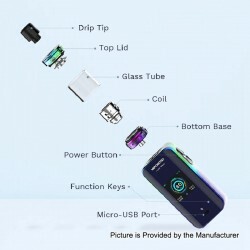 Equipped with sleek edge-to-edge 1.3inch TFT screen, the mod fits comfortably in your palm. Holding it in hand, the vibration-enabled buttons provide tactile feedback you expect from high-tech devices. The integrated OMNI Board 4.0 chip achieves the most rapid, stable yet safe firing rate of 0.001s, bringing you rich flavor and denser clouds within the very first puff. The resistance range, from 0.03 to 5 ohm, is adaptive to all mainstream tanks. The Vaporesso SKRR-S Mini Tank has 3.5ml of juice capacity. The innovative 0.15ohm QF Strip coil provides rapid, even heating, longest-lasting. Combining the use of airflow and an internal, it has minimized leaking.